Discover our rich history from the purchase of land in the mid-1960s to our renovated church in 2017. 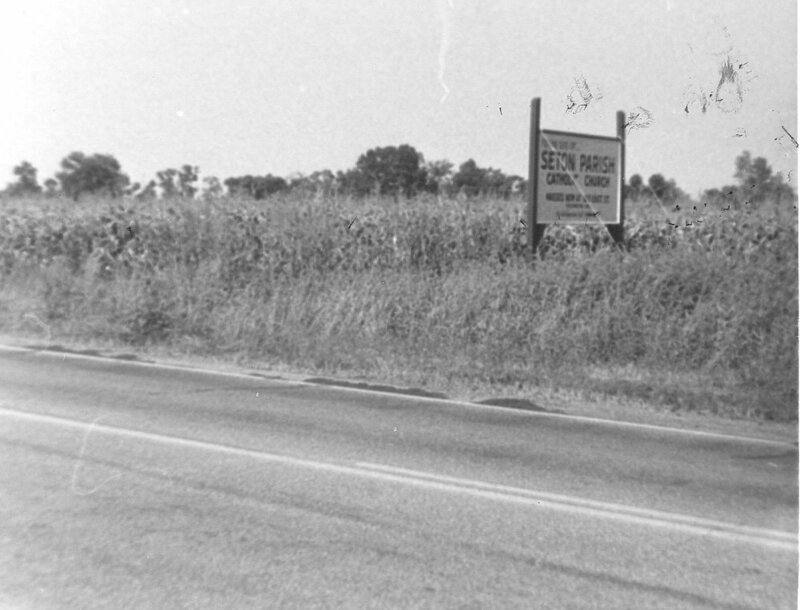 In the mid-1960s, the Diocese of Columbus purchased an 18-acre tract of land in Pickerington for future planning. In 1978, Fr. Edward Fairchild was assigned as organizing pastor, and on July 1, 1978, St. Elizabeth Ann Seton Parish commenced activity. Fr. Fairchild wrote an article for The Seton Voice describing the excitement of these early years of Seton parish. Masses and Religious Education Classes were held at Pickerington Middle School until February 1981 when Bishop Edward Herrmann dedicated the first multipurpose building project. Fr. Stephen Hawkins became pastor in July 1988, and as growth reached over 1000 families by 1990, several hundred parishioners met with Bill Brown and Associates on a “Journey to Decision” to construct a new, larger worship space and add more classroom facilities. The plan came to fruition for a permanent, sacred space for worship, separate from the intended multipurpose nature of the initial project as the Steering Committee and numerous task force groups collaborated, fed by parishioner input. All were guided by a desire for a respectful, faith-filled setting. The stone, both interior and exterior, spoke of permanence, while the stucco and roof forms tied the complex together with the rectory to complete the composition. The sanctuary connected to other functions of the parish by a narthex promoting fellowship both before and after Mass. The dedication on September 13, 1992, by Bishop James Griffin celebrated the continuation of God’s growth among us. In July 2000, Fr. Martin Weithman succeeded Fr. Steve Hawkins as the third pastor of Seton Parish. In Fr. Weithman's brief pastorate, he oversaw the completion of the Parish Activity Center. In April 2002, Msgr. William Maroon came out of retirement to become the administrator of Seton Parish, winning hearts with his warm manner and gifted storytelling until July 2003 when he returned to retirement. In July 2003, Fr. James Klima became the fourth pastor of Seton Parish. The leadership of the parish had changed often in a few short years, and so there was a need for stability that only time could bring about. The important question needed to be asked -- where are we going for the future? A "Vision Committee" was drawn from listening to a cross section of the whole parish, and seven focus areas were set forth for the future of Seton: Hospitality, Communication, Spiritual Growth, Parish Outreach, Parish Community, Parish Facilities, and Stewardship. This Vision now enunciates the direction of Seton Parish for the future. In March 2012, Fr. Klima convened a Renovation Steering Committee to address the reasons to consider renovation at the parish. Obvious concerns and definite needs were named including aging HVAC, cracks in the floor, leaking roof, a divided sanctuary platform, deteriorating pews, and lack of a clear axis among tabernacle, altar, and baptismal font among other issues. In October 2012, Meleca Architecture was chosen. The next two years sorted input from the architect, parish surveys, the Feasibility Study through the Diocese, needs assessment feedback, and an open meeting with parishioners in May 2013. 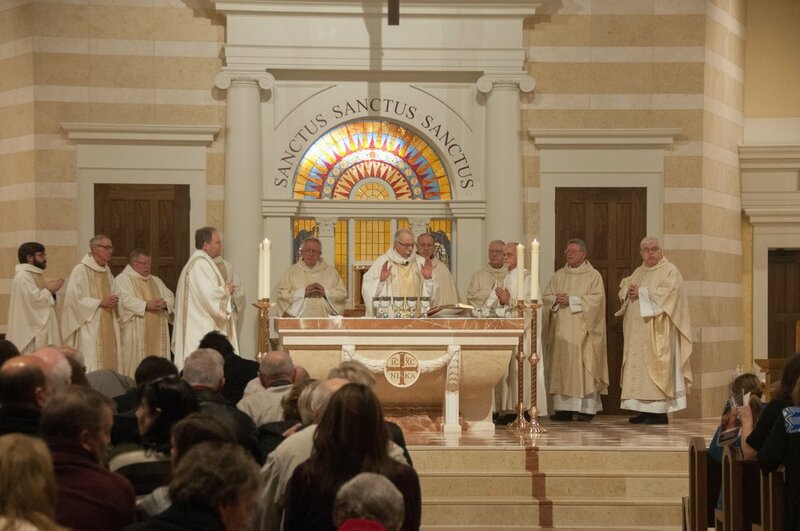 The second open meeting in January 2015, presented renderings, garnering positive reception for the church interior reconfiguration and new Eucharistic chapel. From late spring into summer 2015, fund raising commenced for the 2.8 million dollars necessary for the “Home for Our Faith” campaign. The construction began in May 2016. The project was dedicated on January 4, 2017, the feast of our patroness St. Elizabeth Ann Seton, and delivered within budget. On July 1, 2018, Seton Parish celebrated its 40th anniversary with a large outdoor Mass attended by an estimated 600 parishioners. The Mass was celebrated by Fr. Klima and founding pastor, Msgr. Edward Fairchild. Also assisting in the celebration was Deacon Hector Raymond and Deacon Mickey Hawkins. A full photo album of the Mass and the celebration that followed can be found here. In addition, the audio homily given by Fr. Klima as well as historic remarks by Msgr. Fairchild can be found here. 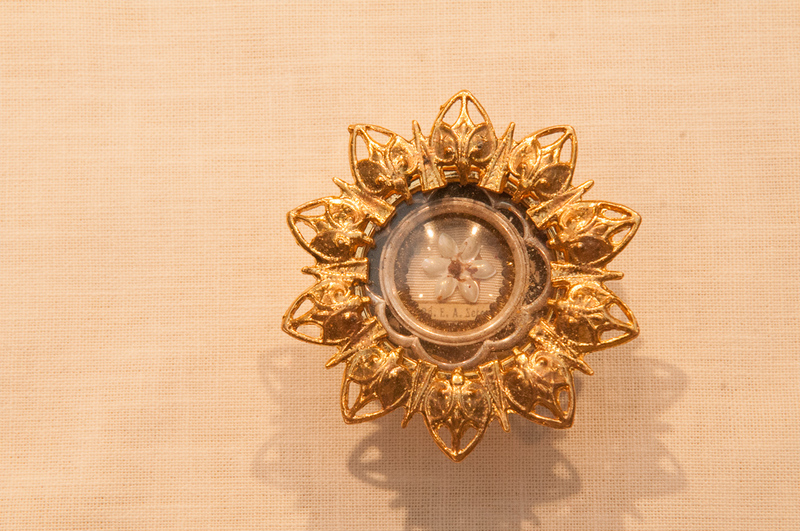 The work of the parish is never complete. The work is a tool ushering in God's kingdom. As we each take our part, we continue to write the history of Seton Parish. 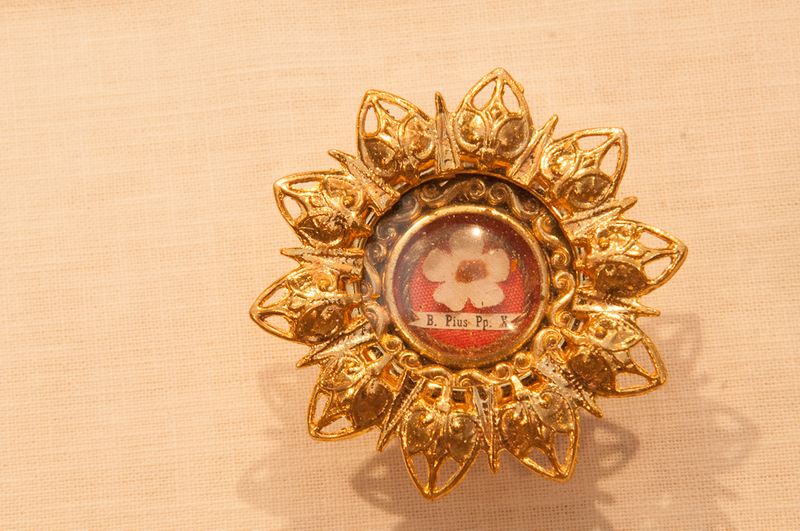 An important aspect of our Catholic history rests on the sacrifice of those who have come before us. 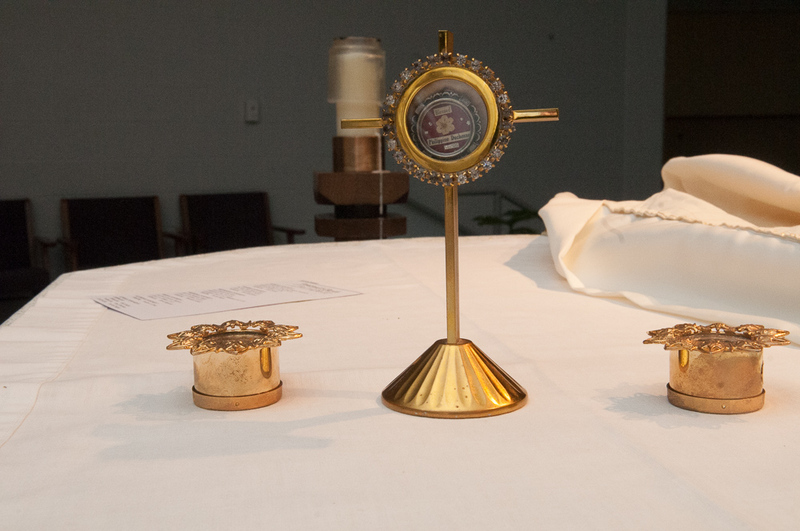 Our altar contains the relics from three important Saints: St. Elizabeth Ann Seton, St. Pope Pius X, and Saint Rose Phillippine Duchesne. Renovation of the church and adoration chapel completed in 2017. Celebrated on January 4, 2017, the feast day of our patroness, St. Elizabeth Ann Seton.